Chinese language is not that difficult to learn. It is same as learning any new language such as English, German, Spanish, or Latin. Learning the basics of any language is like starting to learn an instrument like piano or guitar. For musical instruments, people start with only the first few chords of music. In Chinese language as well, a learner should start with the basic words used for communicating thoughts and ideas. 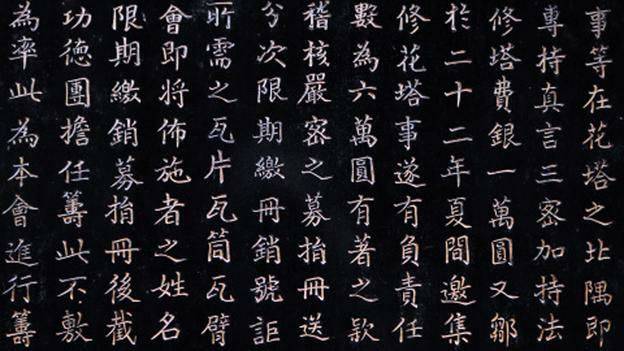 In the Chinese language there are 3500 commonly used characters. People communicate their ideas with use of words meaning more or less the thoughts that they want to correspond. The general focus lies on developing the competence of communicating in Chinese before learning to write or read proper Chinese. While learning, it is best one should put special focus on listening, visualizing observing and articulating as one goes. Catching specific phrases will help someone develop a clear idea on how they can use it in some other sentences they construct later on. Learners would master use phrases within no time, if the keep on using them. Spoken Chinese is in reality fairly accessible and approachable. First one should start with a general idea of the use of words, which corresponds some simple thoughts such as ‘I go’, ‘I eat’, ‘I buy’, etc. Unless one learns the basic use of some of the chords, they may not be able to learn the whole music, similarly is the case for learning a new language such as English, Latin or even Chinese. After you mastered Chinese pronunciation – pinyin and have studied Chinese conversation for a short while, you may move to the next step of learning Chinese – reading and writing. There are two types of Chinese character forms: traditional form or called complex form and the simplified form. You need to choose which form you want to learn most. In my opinion, I suggest you to learn the simplified form. Radical approach: When teaching Chinese characters, most often the focus is drawn towards the radicals of each of the characters and how it is structured. When learning the strokes it is important to learn the strokes with proper illustration. If there are common pictures or symbols that learners can associate with Chinese ones, then people would be able to identify and remember them better. Learning to pronounce the characters is important for foreign learners. Systematic Approach: When you Learn Chinese Characters from Mandarin NOW, you should emphasize on pronunciation and then stroke. This is a far systematic approach to the whole idea. There are free lessons of learning the language present online. Even if the approach is systematic, it is difficult to learn the language, this way because Chinese characters are ideographic. The meaning and pronunciation of the character is integrated within the system. Simple characters should be learnt first, and then be followed by compound characters. How To Improve Your Essay Writing Skills?